We are a leading provider of multi-platform systems management software which includes web development, software development and mobile application development. 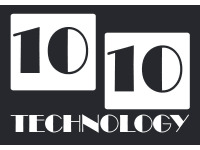 1010 Technology is a leading provider of multiplatform systems management software which includes web development, software development and mobile application development. The opening of any professional service around the world led to the establishment of the energetic plan by a team of young and inspired IT professionals. We Create: You Benefit is the ethos for this self-inspired group of social visionaries who are on thrilling voyage of changing the IT dynamics.